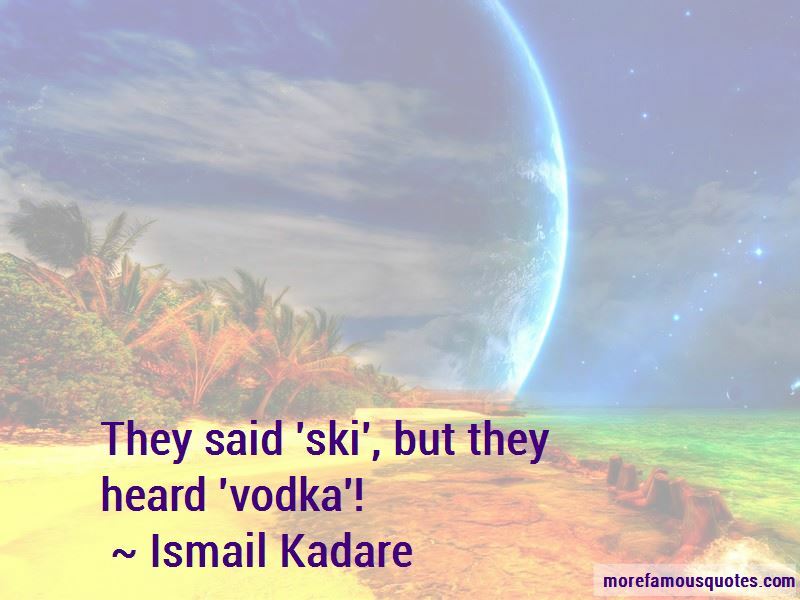 Enjoy the top 55 famous quotes, sayings and quotations by Ismail Kadare. 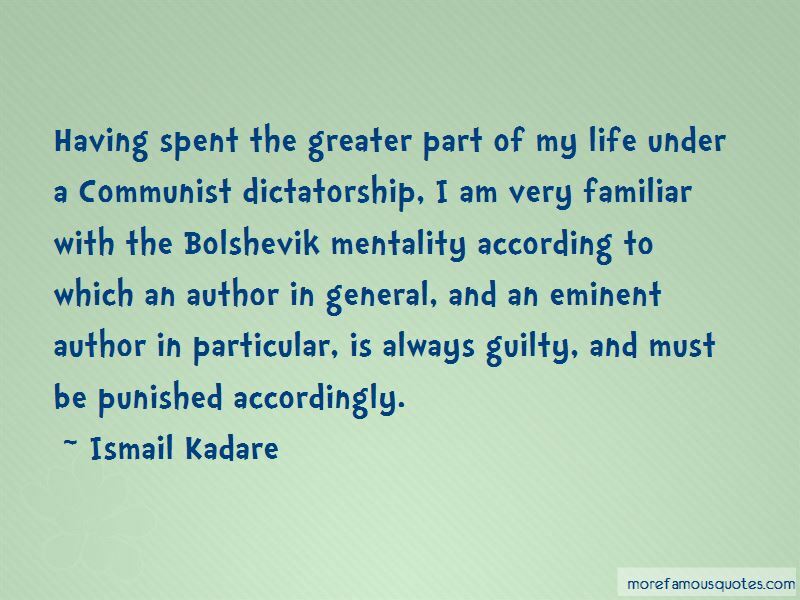 Every passion or wicked thought, every affliction or crime, every rebellion or catastrophe necessarily casts its shadow before it long before it manifests itself in real life. At street corners, where walls join, I thought I could see some familiar features, like outlines of human faces, the shadows of cheekbones and eyebrows. They are really there, caught in stone for all time, along with the marks left by earthquakes, winters and scourges wrought by men. This is where they keep the dreams about the end of the world, according to the inhabitants of places where the winters are very windy. A mountaineer's house, before being his home and the home of his family, is the home of God and of guests. Why the Albanians had created the institution of the guest, exalting it above all other human relations, even those of kinship. "Perhaps the answer lies in the democratic character of this institution," he said, setting himself to think his way through the matter. "Any ordinary man, on any day, can be raised to the lofty station of a guest. The path to that temporary deification is open to anybody at any time. [ ... ] Given that anyone at all can grasp the sceptre of the guest," he went on, "and since that sceptre, for every Albanian, surpasses even the king's sceptre, may we not assume that in the Albanian's life of danger and want, that to be a guest if only for four hours or twenty-four hours, is a kind of respite, a moment of oblivion, a truce, a reprieve, and-why not?-an escape from everyday life into some divine reality? My streets, my cistern. My old house. Its beams, floorboards and staircase creaked slightly, almost imperceptibly, with a dry, uniform, almost constant cracking sound. What's wrong? Where does it hurt? It seemed to be complaining of aches in its bones, in its centuries-old joints. 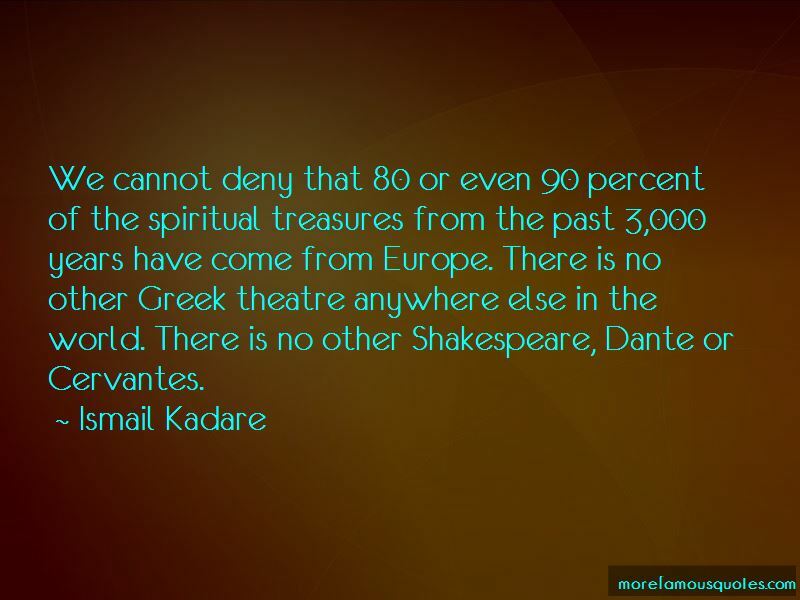 Want to see more pictures of Ismail Kadare quotes? 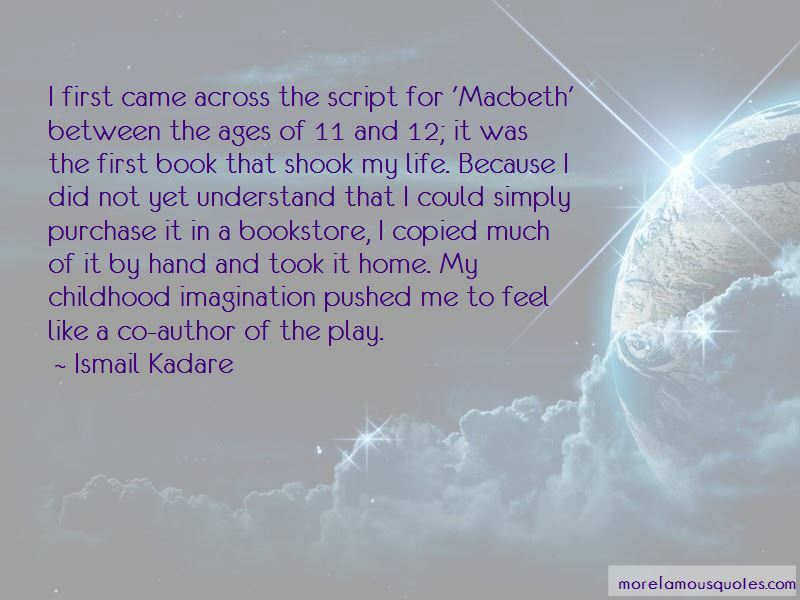 Click on image of Ismail Kadare quotes to view full size.